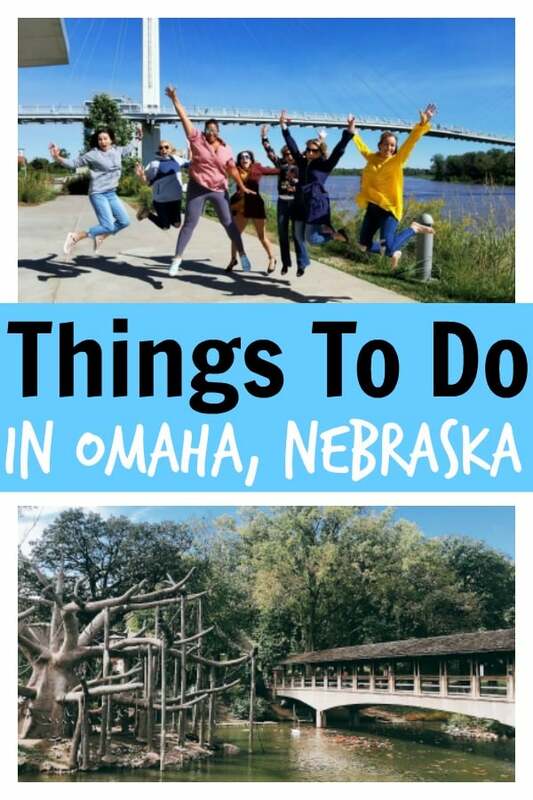 Are you looking to travel to Nebraska with your family and looking for things to do in Omaha? 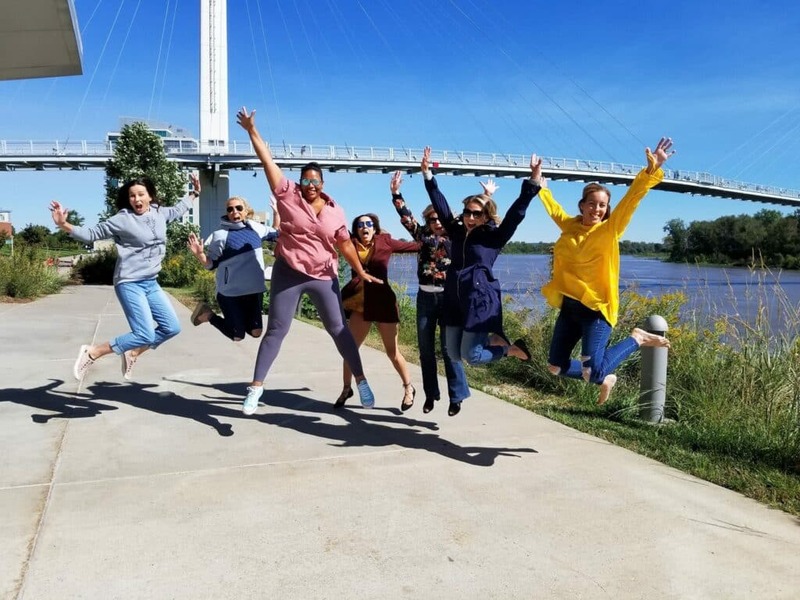 Omaha Steaks invited me to explore Nebraska with several bloggers from the travel and food industry and we had a ton of fun. I put together a quick synopsis of all the things we were able to visit while in town. 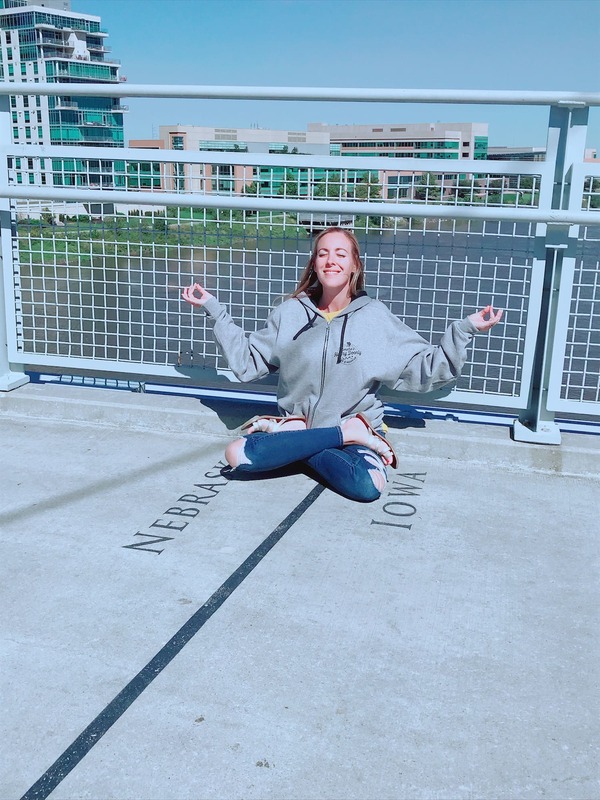 If you are looking for things to do in Omaha, here are some of my favorites from the trip. The team tried to make sure that we walked away understanding the local vibe while getting to experience great food and amazing company. BOY, did they succeed! 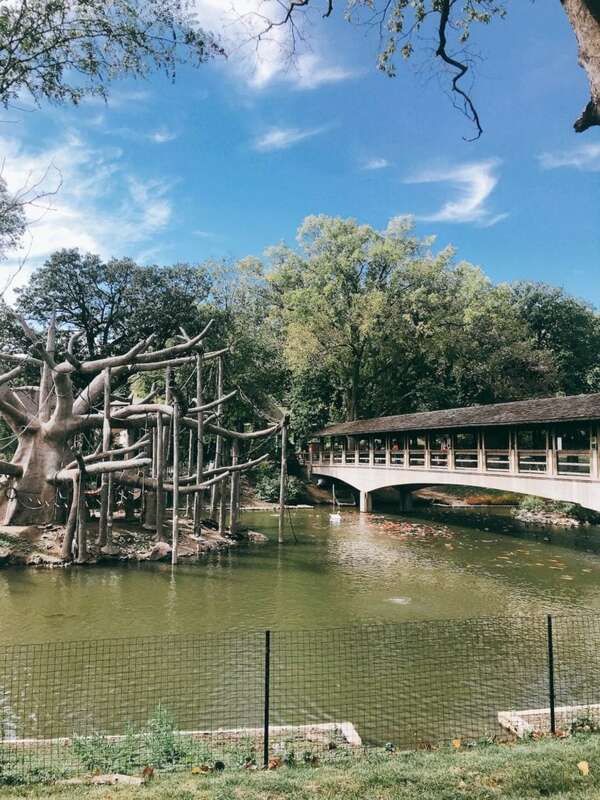 The Omaha’s Henry Doorly Zoo and Aquarium would be my absolute number one destination for you to visit whether you have children or not. The running joke within the group was that everyone believed that their city’s zoo was the best zoo in the world. 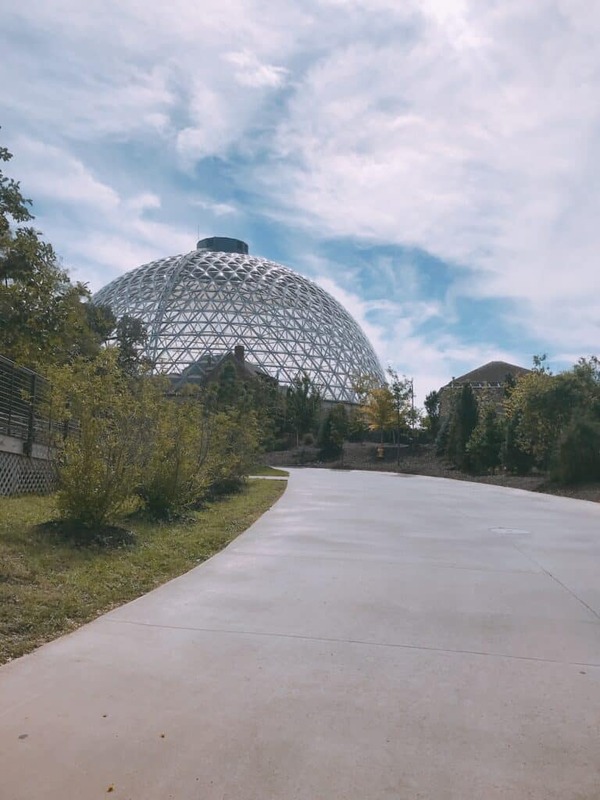 Well, according to several publications, the Omaha Henry Doorly Zoo and Aquarium IS ACTUALLY the number one zoo in the nation. Truth be told, after visiting it for several hours, I can see why. While I didn’t have the chance to walk through every exhibit due to time constraints, I knew that my children would have a BALL at the zoo. Omaha’s Henry Doorly Zoo and Aquarium just keeps on building! While chatting with some of the marketing team, we learned that several of their exhibits were fairly new and a number were currently in development. 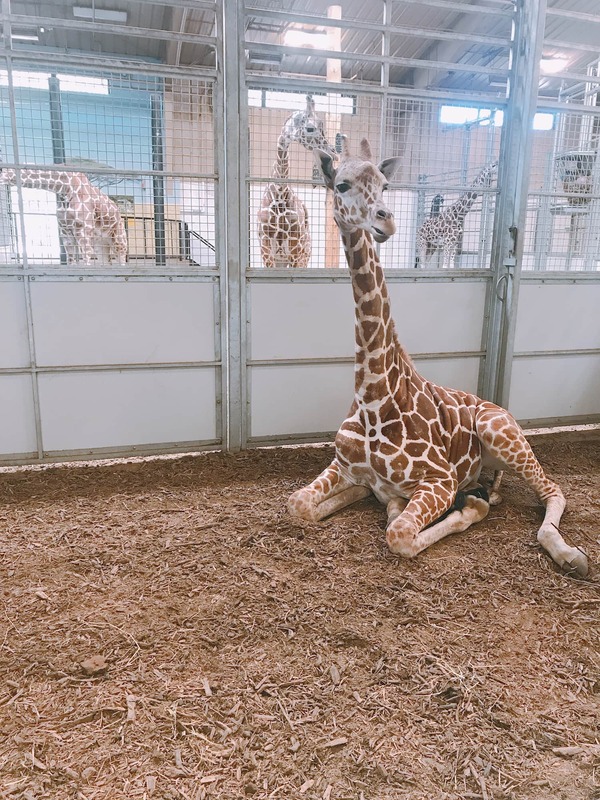 This was such great news to hear as a mom because it meant that no matter when I returned, I knew that something fresh and exciting would be waiting for me once I entered through the zoo’s gates. Are you reading for something completely awesome? 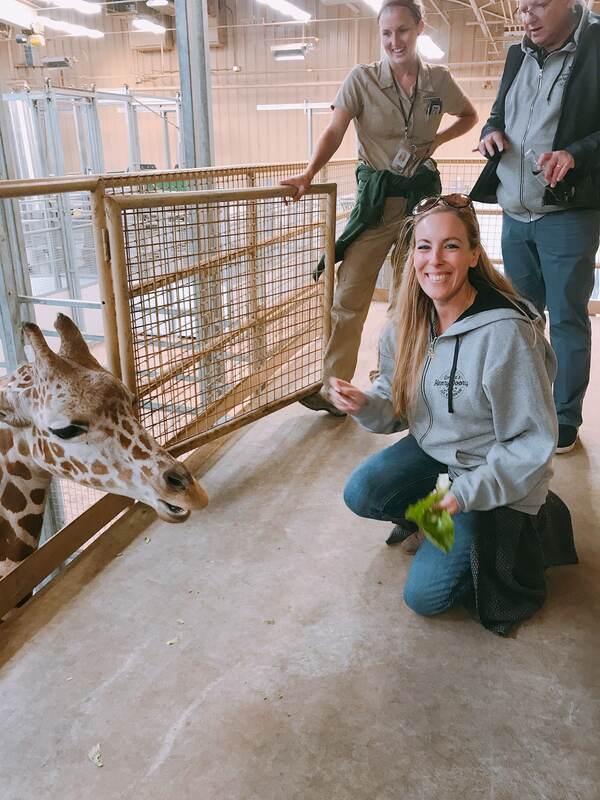 I had the chance to feed a giraffe (over and over again OMG I COULDN’T STOP FEEING HIM!). It was the absolute highlight of my trip. 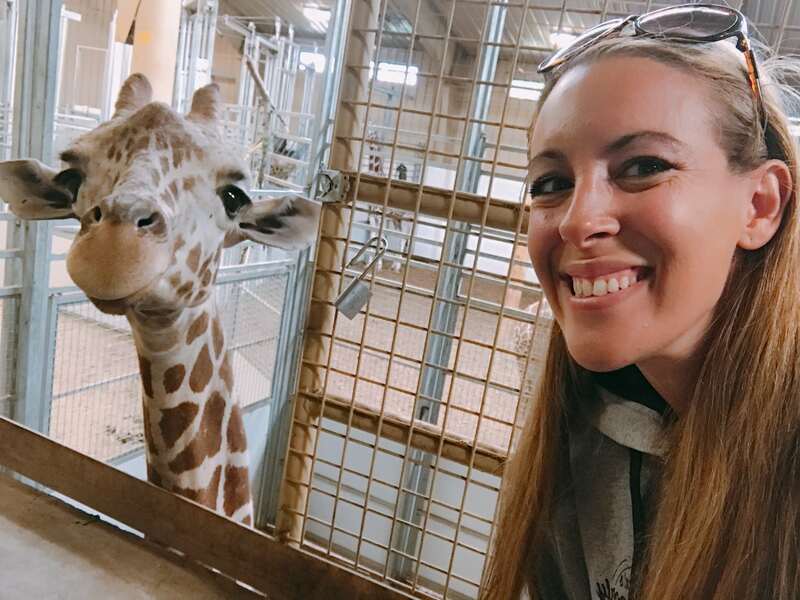 And after the giraffe feeding, I was even able to take a giraffe selfie. I mean, that boy is smiling!!! Can you see it??? I can’t unsee it. What a cutie. 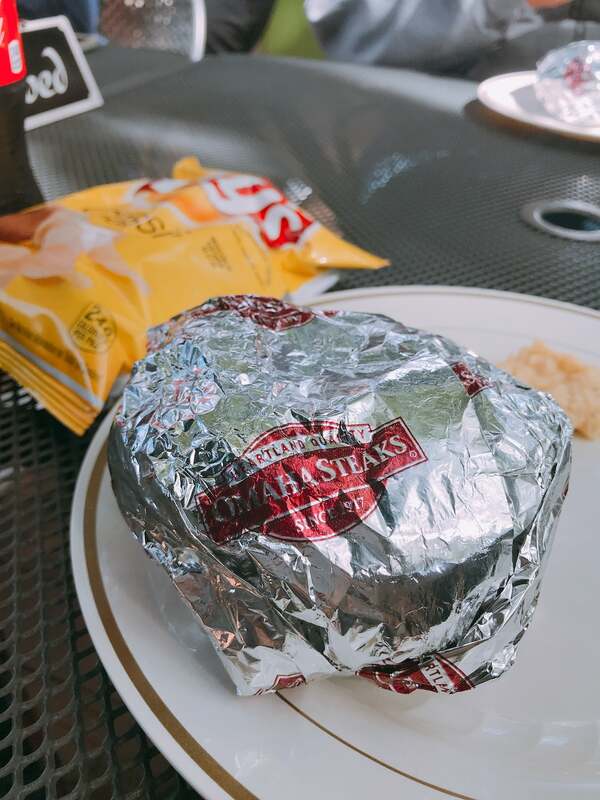 Before you leave the park, make sure that you grab an Omaha Steaks hamburger at the grill. That was such a nice treat! We topped them with a variety of our favorite toppings and enjoyed an outdoor dining area before we headed on our way. 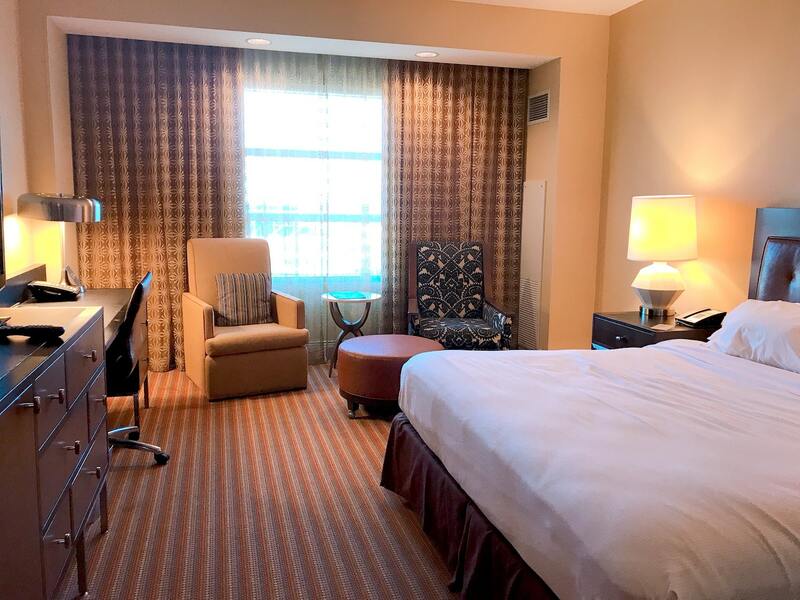 Centrally located and near just about everything, the Hilton Omaha sits at the heart of downtown near the Old Market Entertainment District and just 7 minutes from Eppley Airfield Airport. 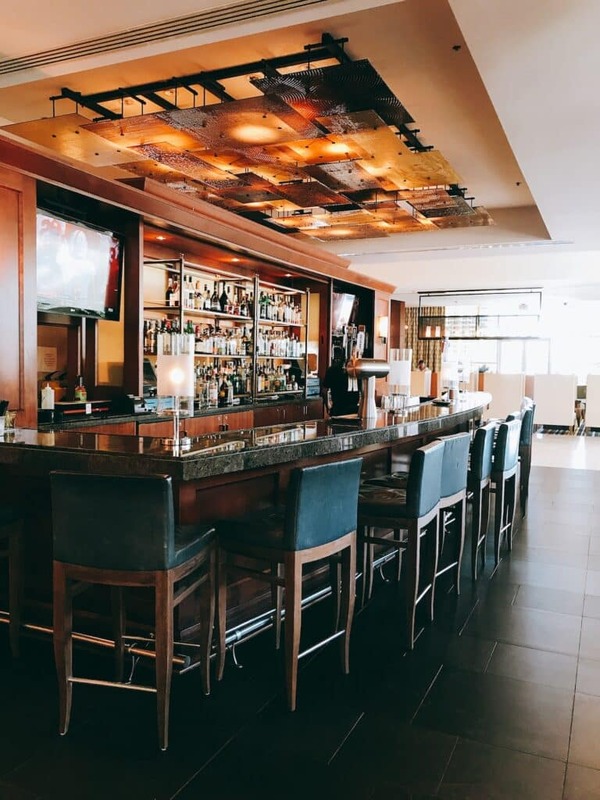 If you are into sports, you’ll be happy to hear that the Hilton Omaha is also one block from TD Ameritrade Ballpark and joined to the CenturyLink Center Omaha Convention Center via an enclosed sky bridge. So, when I say it’s convenient… it’s convenient. But I want to talk about their customer service and layout as well. Because I had such a packed itinerary, I started every morning with a hearty breakfast inside the Hilton Omaha. Great selection and an absolute pleasure. The staff also always went above and beyond every request. They really felt more like a bed and breakfast when it came to service. Hilton might be a powerhouse brand, but their people are homegrown and good for the soul. At night, my friends and I would wind down with a drink at the bar which was typically filled with sports lovers all catching up on the game. It was lively but never rowdy which I absolutely appreciated. The Hilton Omaha had a great vibe and served me wonderfully during my stay. Their managing director even showed up in a Captain America suit to give my friend a phone charger. Yes, I’m serious! He really made the stay extra special. I usually do room walkthroughs, but sadly I didn’t shoot a video this time around. I’m sorry about that! Like I said, this trip was pretty packed with things to do. Here’s a photo of the room so you can get a look at what to expect should you book a standard king room. Another bonus to note — the Hilton Omaha carries some local favorites in their lobby shop. 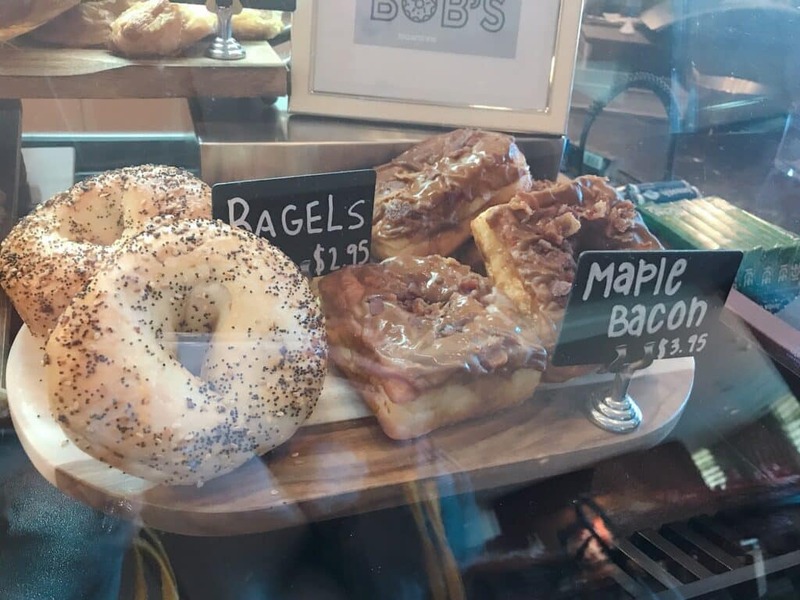 I couldn’t resist trying Bob’s donuts before I left! Everyone was raving about them and they were as good as the team promised!! 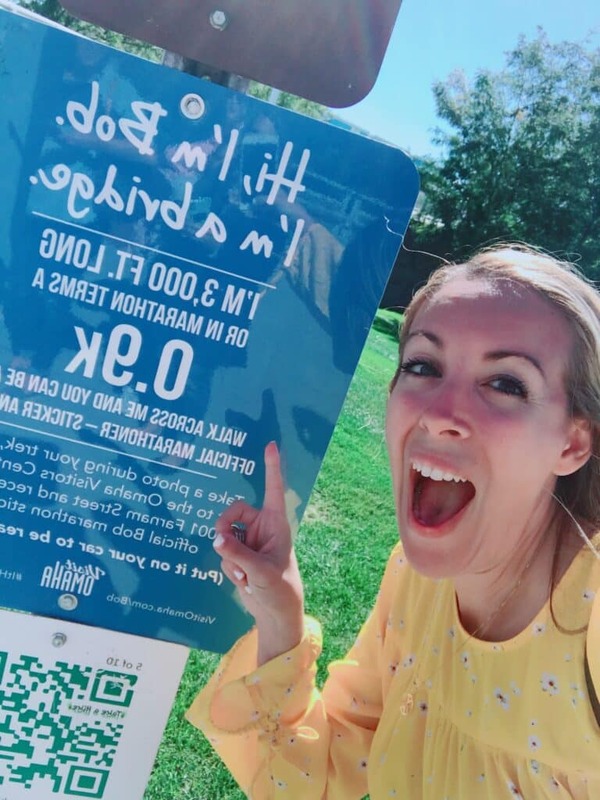 The Hilton team wanted to be sure to support local businesses when catering in food for their guests which – again – I thought was such a fantastic touch. So, while you are creating your list of things to do in Omaha, make sure you include where to stay in Omaha and mark down the Hilton!! You guys! 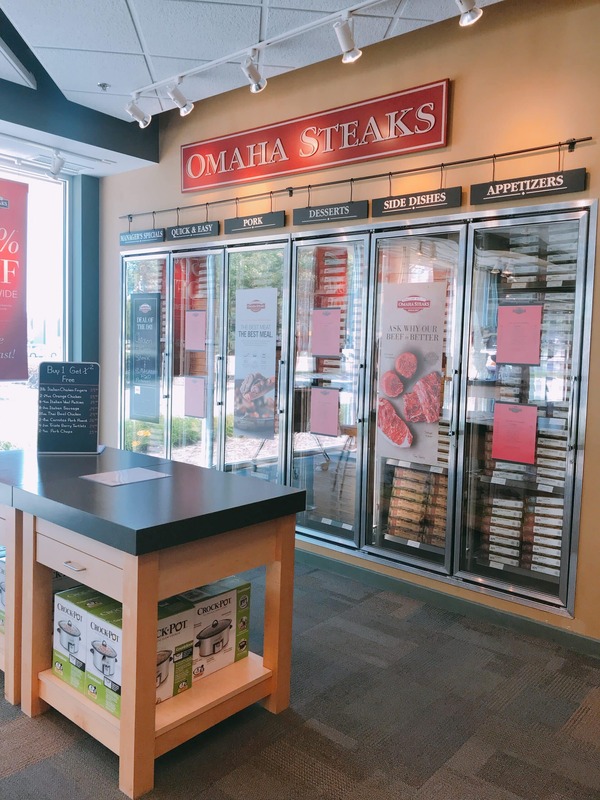 I have an Omaha Steaks store on Long Island, but how on Earth could you go to Omaha, Nebraska and NOT visit an Omaha Steaks store? I mean that would be downright ridiculous! You need to find one of their many stores, walk in, and place an order to ship. There are so many special deals in store that are not available online. Trust me, it will be worth the effort. 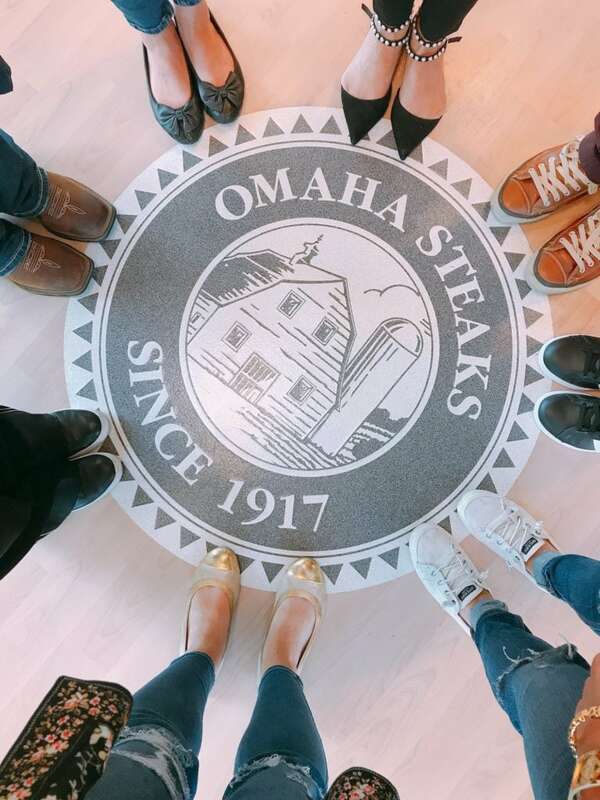 Besides, you will be able to truly see everything that Omaha Steaks has to offer. I was SHOCKED to see some of the type of food that was ready to ship. Side dishes, skillet meals, crock pot meals, desserts, dog food, OH MY! So, not only did we have a chance to check out some of the amazing products that are sold at Hutch, but we met the owner and had dinner with him. SUPER FAB! He even brought one of his talented team members to put on a decorating presentation for us and teach us a thing or two about decorating. I took plenty of video and will get that all up on my YouTube channel. Look out for more videos over the next few days. While soaking in all of their decorating goodness, I learned a few things. 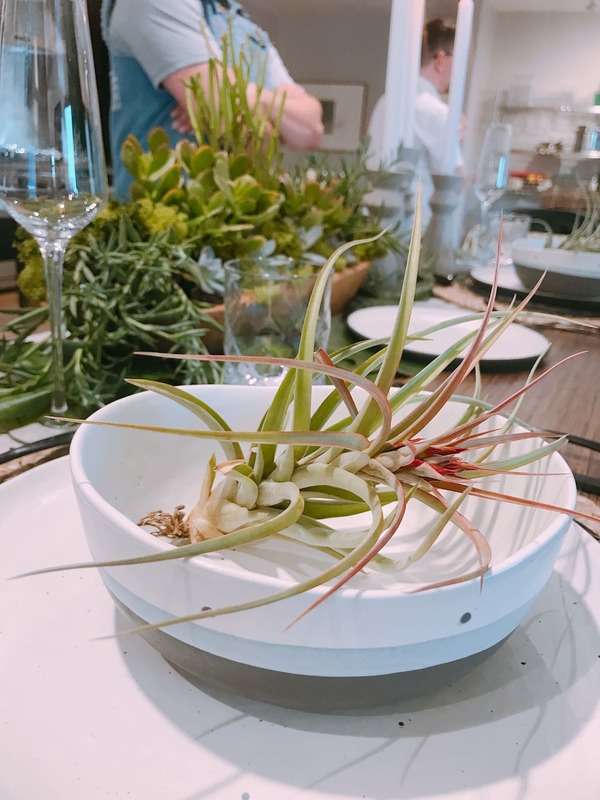 The mix of natural elements – wood, cement, steel, and plants – with vintage finds make for the best kind of tablescapes. I need to go shopping ASAP. I’ve been doing it all wrong. 🙂 If you plan on heading to Omaha anytime soon, make SURE to visit Hutch for a little decor inspiration. Before we leave this section, I wanted to share a quick lesson on how to fold a napkin – three different ways! Perfect upgrade to any tablescape. If you are planning to host a party this holiday, check out this video. Bob is a big deal in Omaha. Like… a big deal. He is looking for love. He has a fun sense of humor and he is TOTALLY walkable. My kind of guy. It’s a 3,000 pedestrian bridge that you can walk with friends and he NEEDS to be part of your list of things to do in Omaha. I mean… check out this jump shot! You HAVE TO! I’m not a runner. Not even close to it! So, I loved the fact that at the foot of Bob I found this sign. After crossing Bob, you “technically” can consider yourself a marathon runner. Ok, a “.9 marathon runner”, but listen, I will take it! Super funny! My friends who are actually runners were making fun of me. Whatever. I’m amazing. And then there’s the Nebraska – Iowa state line! You can hop over it, jump on it, sit on it, do yoga poses around it. Dealers choice! But it’s right on Bob and it makes for a good Instagram photo – so have at it. It won’t take you long can be part of an easy morning walk – especially if you stay at the Hilton Omaha. The M’s Pub has quite the history – one that includes a massive fire that completely destroyed the establishment in 2006. 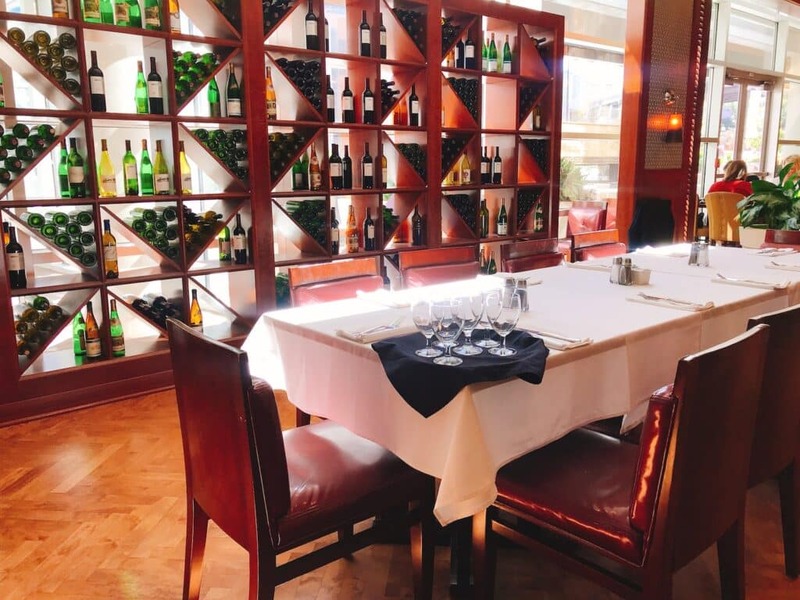 But I am happy to say that the restaurant is back on its feet and better than ever. A favorite haunt for locals, the Omaha Visiting Bureau made sure that we stopped in for a leisurely lunch and I am so glad we did. 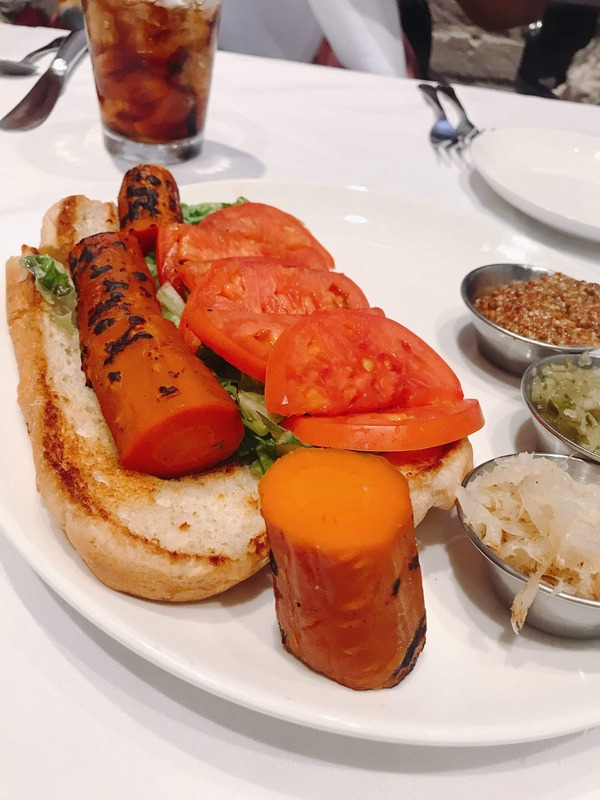 I tried the carrot hotdog which was incredibly delicious. At first, I wasn’t sure how I was going to feel about it and then I found myself begging for seconds. My main meal was one of their Lavash dishes. Truth be told, I ordered it only because I wanted to say it. “Hi, I’d like to order the lllaaaavvvaaassshhhhhhhhhhhhh”. Turns out it was fantastic. Personally, I opted for the Vegetarian version but tried the Thai one as well and they were both fantastic. 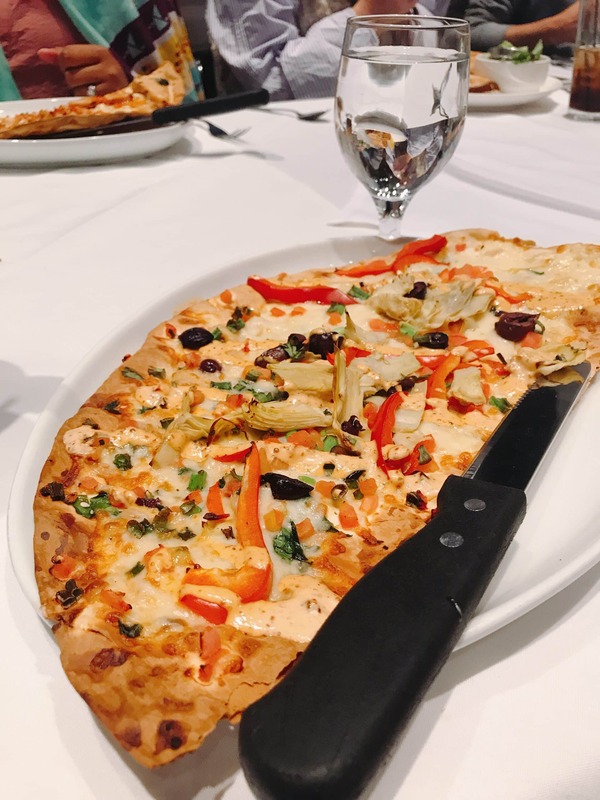 You can’t go wrong with a lavash. I feel like I need to put that on a t-shirt. 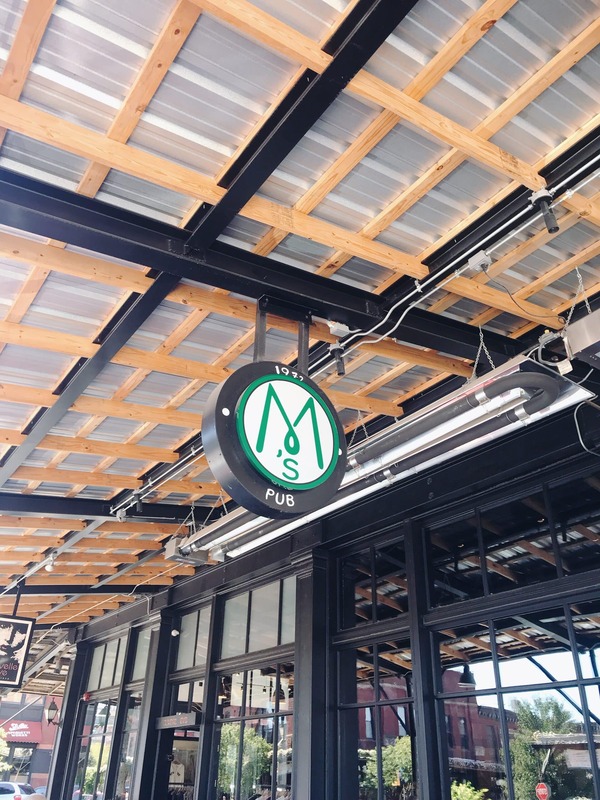 M’s Pub has outside dining as well and is centrally located at the heart of the Old District. While I didn’t have a chance to really experience any of the boutiques and shops, I will say that my shopping Spide-y sense KNOWS FOR SURE that this area is amazing!!! I want to go back to Omaha just to hang out in the Old District. Not kidding. The clothing stores, ice cream shops, and little walk-ins each had their own unique vibe and I need it ALL. I had to catch a plane. WAH! My biggest regret was not filling an entire suitcase of handmade soap and fall cardigans from Omaha! Are you planning on visiting Nebraska this year? Working on your list of things to do in Omaha? I hope this post has helped you in some way. I had a wonderful time and hope to go back soon with the rest of my family. There is truly an entire city left to explore! Great post and pictures! I live in Omaha. Spending time at our zoo is a must if you are visiting us. We had such a wonderful time! Susan – loved your zoo! You really captured this wonderful city. The people are so friendly too!